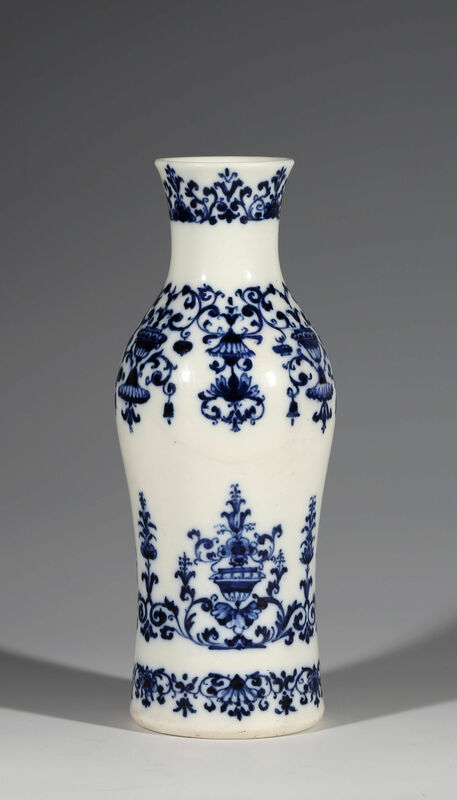 The vase of baluster form with slightly flaring rim, finely painted in a dark blue with four bands of formal lambrequin ornament incorporating vases of flowers and foliage scrolls. 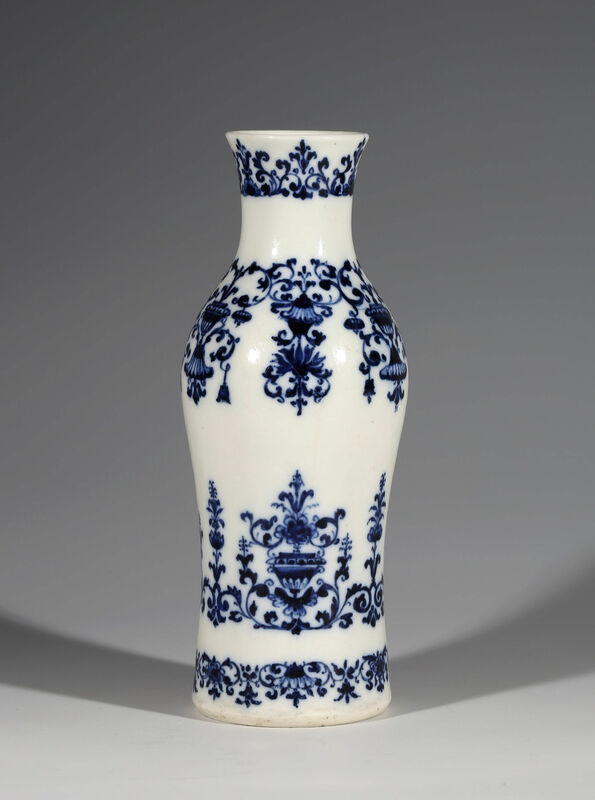 These earliest and rarest of Saint Cloud wares are characterised by their fine draughtsmanship in an intense inky blue under a brilliant glassy glaze. 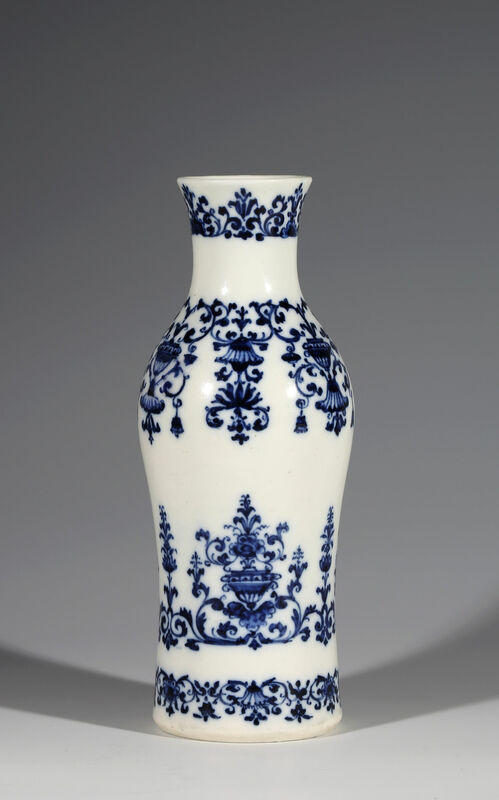 The Saint Cloud manufactory was certainly soft-paste porcelain by 1693 and is the considered the first commercially viable porcelain factory of Europe. 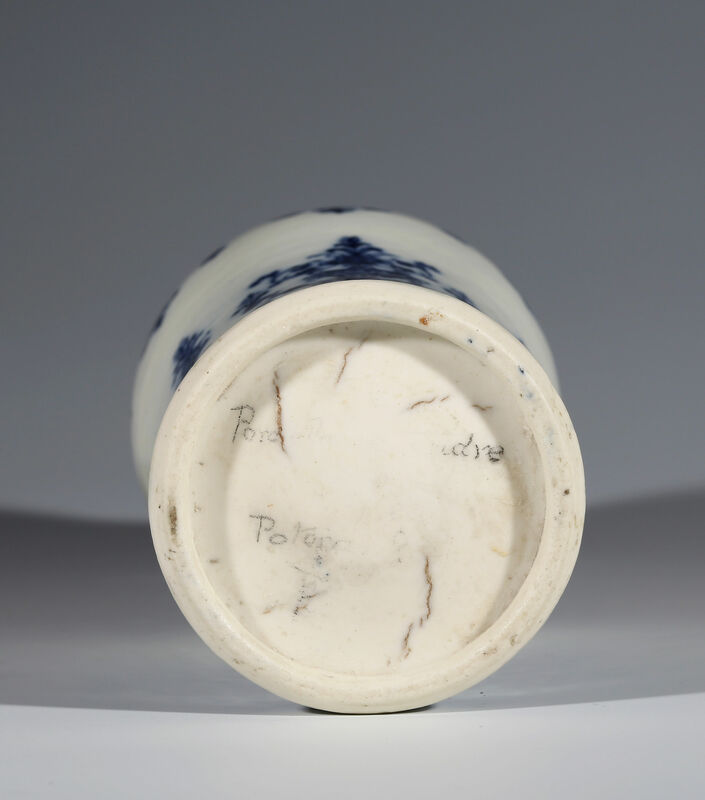 In the past, some of these pieces were attributed to the Rouen factory of Louis Poterat and indeed someone has written Poterat in pencil on the unglazed base.